Do you know that today, oil and gas industry can’t do without drones? The thing that this industry requires too complicated and expensive equipment is evident. Nevertheless, the use of financial and human resources is risky, complicated and very expensive. Furthermore, one person can’t access remote places with the aim to locate damages or find the places of leaks in refineries. In some instances, these operations can be risky for their health. Drones can perform all these operations instead. Today, modern UAVs can substitute human resources and help companies get more precise reports. What Kind of Activities Do Drones Perform? In sober fact, drone technology is manifold and today, drones in oil and gas industry aren’t anything new. Experts use them for performing absolutely different activities. UAVs have an awful lot of benefits and many industries have already made drones their number one tool. It is common knowledge that drones aren’t just high-quality flying cameras, but they are also used with the aim to survey dangerous areas, ship small items, monitor the wildlife and for lots of other purposes. Representatives of oil and gas industry use drones with the aim to inspect and keep a check over on or offshore structures. They help specialists to identify the signs of different damages. For instance, if you need to check the state of storage tanks located in a remote area, you can send a drone which will analyze the confined spaces with ease. It will be faster and cheaper for the company. What about the Statistics Data? For you to make sure that UAVs are gradually becoming an irreplaceable tool of oil and gas companies, it is enough to give several examples, proving this fact. A well-known engineering company Cyberhawk reported about a very important research they managed to complete with the help of drones. The investigation was lasting for 2 weeks. That was an offshore ROAV inspection in Labrador and Newfoundland. They used drones with the aim to inspect a concrete gravity base, live flare, and the platform. 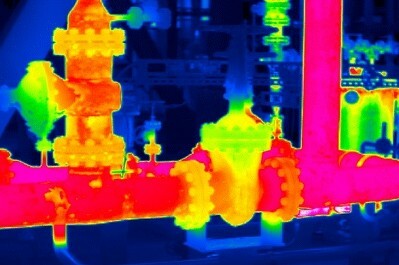 UAVs were also equipped with thermal cameras in order to create a more precise report. BP, a leading oil and gas company have already tested drones and made sure that these devices are the best tools for pipeline inspections. 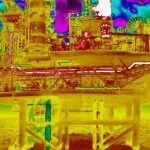 Apache Corp, an independent oil and gas company, used drones in order to keep a check over flare stacks at a gas plant. Royal Dutch Shell has been using drones since 2014. They managed to receive an approval from the FAA and today, drones are their number one tools for inspecting flare stacks. Lots of companies made a decision to stock up with drones because they help detect corrosion and many other issues. At the same time, they don’t interrupt operations and transform reports immediately. Videos, containing the information about activities of workers. 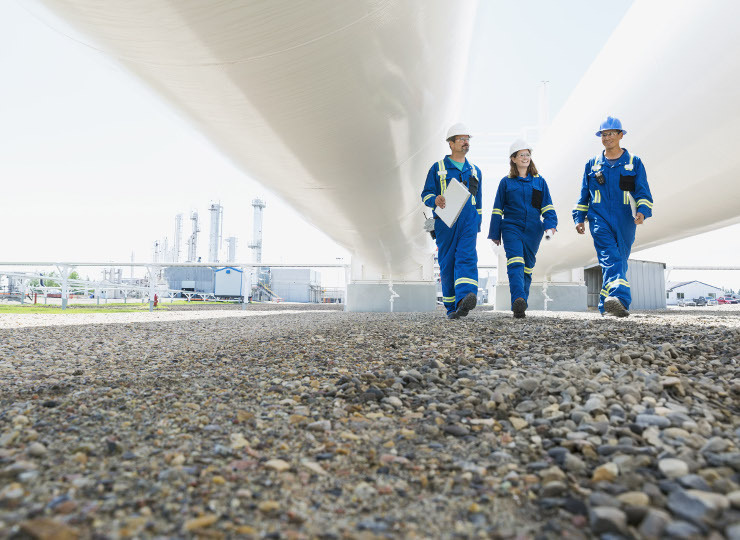 Drones can provide oil and gas companies with correct information about the hazardous facilities operations. They help companies improve their productivity and decrease the amount of time they spend on the analysis of an object. UAVs allow workers to make real-time reports within a short time period. Except for providing oil and gas companies with an opportunity to explore remote areas in a risky environment, UAVs also offer high-quality photo/video content, containing the information about oil wells. It allows companies to reduce the use of human resources. In sober fact, drone technology can help companies curb the expenditure on human resources and detect oil spills more effectively. We see that when oil and gas companies buy drones, they receive an opportunity to perform their work more effectively. Besides, the new methods of the drone use appear on an ongoing basis. Not so long ago, a geological exploration was held in Norway and scientists showcased that drones simplify the process of the oil search. Their UAVs were equipped with infrared sensors, thermal cameras, and laser scanners. Gradually, this technology will substitute the use of human resources. Otherwise stated, when there is a risky operation, no one will be risking the lives of humans in order to identify the breakdown causes. They will use much better options – drones. The drone technology helps researchers predict the oil or gas fields either on land or underneath the sea. 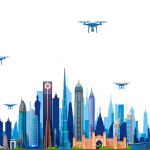 Modern UAVs are extremely powerful tools, allowing representatives of oil and gas industry to enhance productivity, create more precise reports and reduce the costs of these operations. Besides, monitoring of pipelines and oil fields is more effective. Drones can reach hard to access places, save the lives of people and provide companies with the detailed reports in a real-time mode.